Schedule Calendar App – Why Invest In One? Schedule Calendar App – What Next? 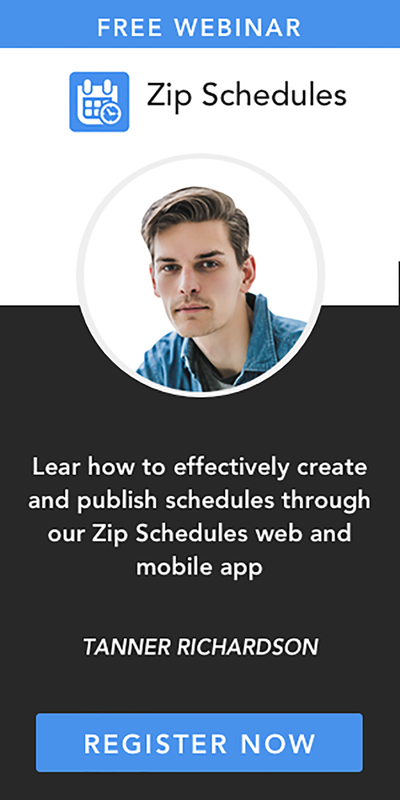 Scheduling your business calendar has never been easier with Zip Schedules calendar app. While it is true that factors such as better connections, more funds, more experience and better resources can determine the success of a business, the time factor beats them all. This is because you may have all the resources, experience, and connections needed, but if your business is unable to make use of the normal working hours efficiently, success becomes impossible. So, how can you ensure that your business is making proper use of the hours available to you without abusing employees' rights? Make a workable schedule and make sure everyone sticks to it. To do this effectively, invest in a trustworthy schedule calendar app and you will notice the difference with time. Take advantage of our free trial now. Why should you invest in our schedule calendar app ? Our app will help you create a schedule within minutes. Your workers or employees will be able to download the app through their phones for free. 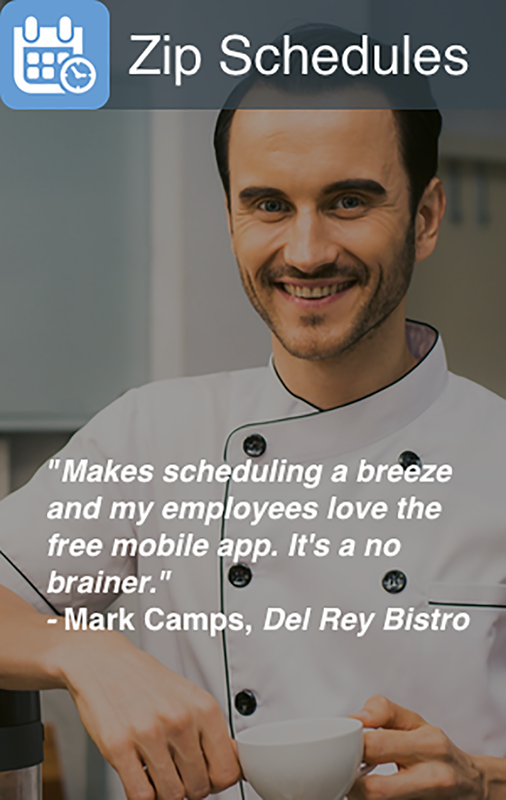 Our app will send your schedule to each and every employee you have within seconds. Your employees will be able to convey any issues through the app within seconds. This means that you will be able to make any schedule adjustments within minutes. Our app will inform you of the employment laws of your state or country so you will not break any laws unwillingly. Our app will remind you to deal with important issues related to your staff in case they escape your mind.